Billio comes with Billio Report Post plugin. 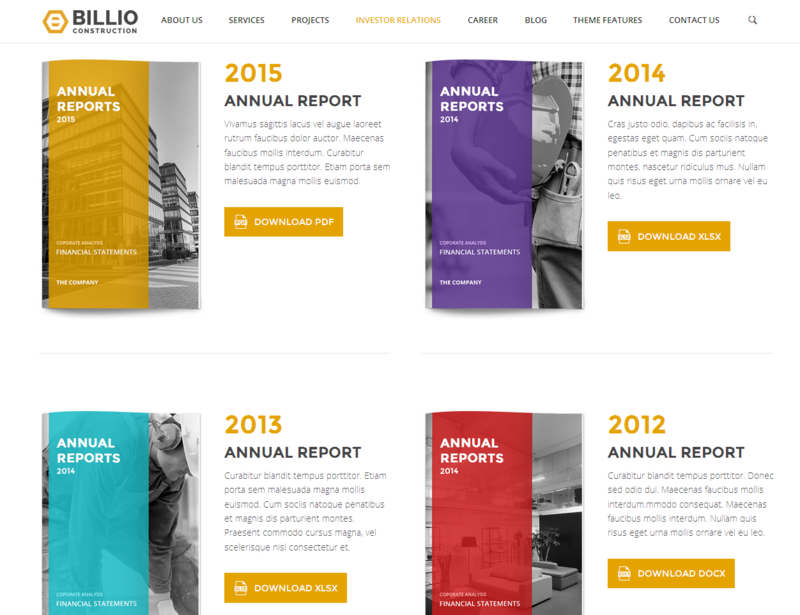 This plugin is used to handle simple annual report information on website. 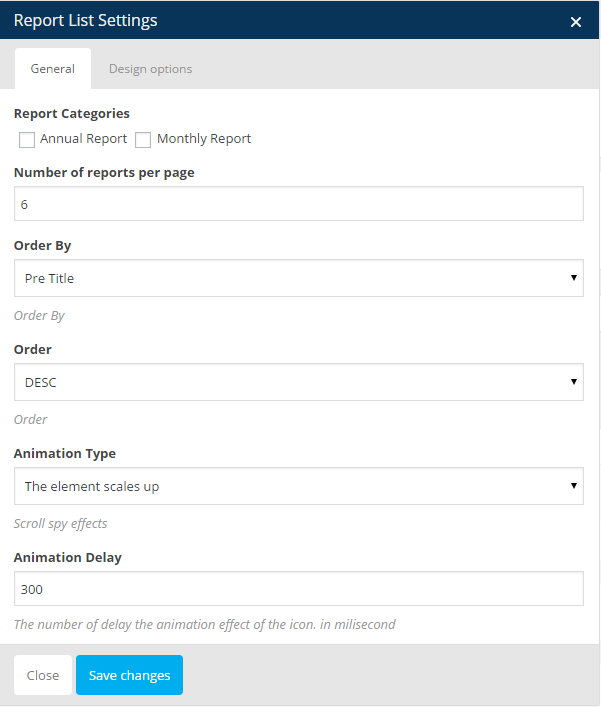 Step 1 – Navigate to Reports > Add New menu. 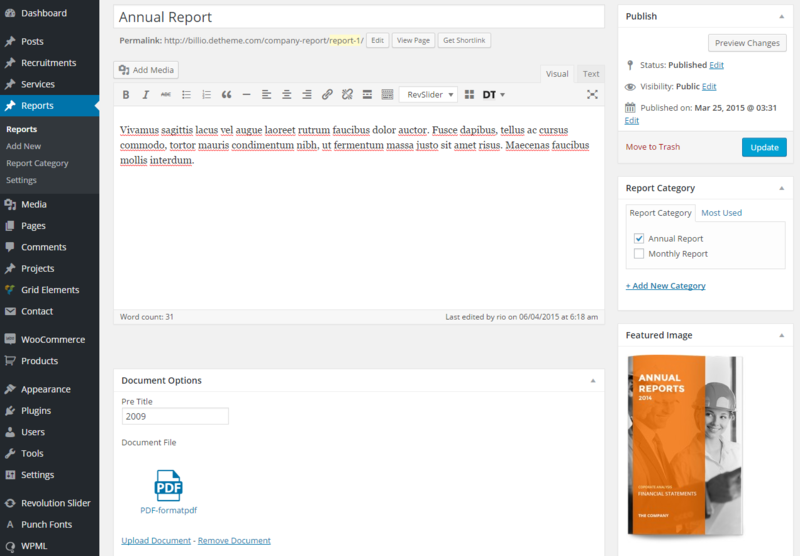 Step 2 – Enter the title, description, document options fields, upload featured image and choose or create report category. Display Report Posts on Page. Step 1 – Create/Update a page. Step 2 – Add Report List Visual Composer Element to a row. Step 3 – Set Report List settings.